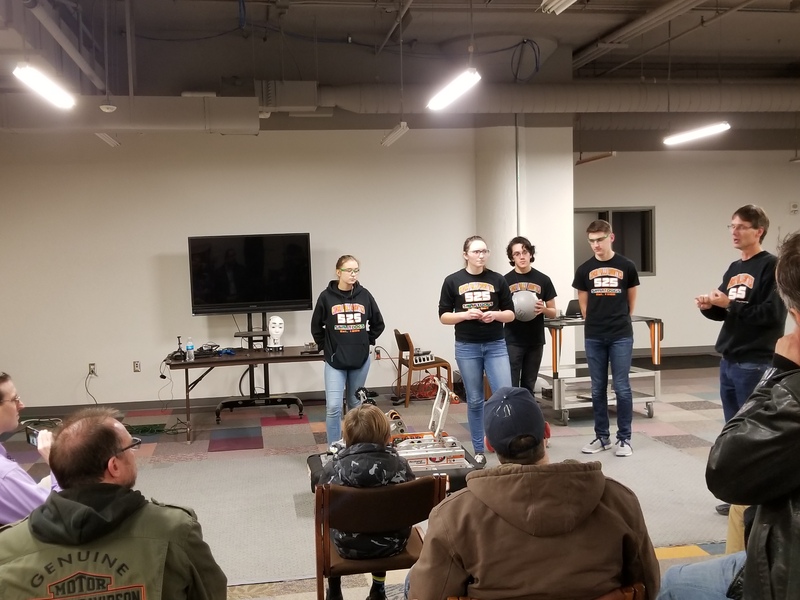 We were invited to present at the Waterloo Maker Space. The Maker Space is an area where people learn STEM related skills or work on STEM related projects. We demonstrated our robot and talked about our team and what we do.